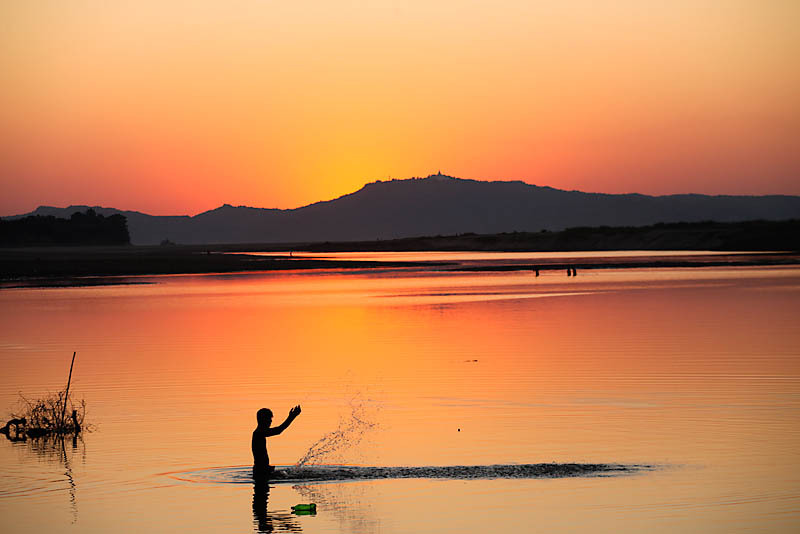 For visitors to Myanmar, Bagan is a definite stop in the itinerary. 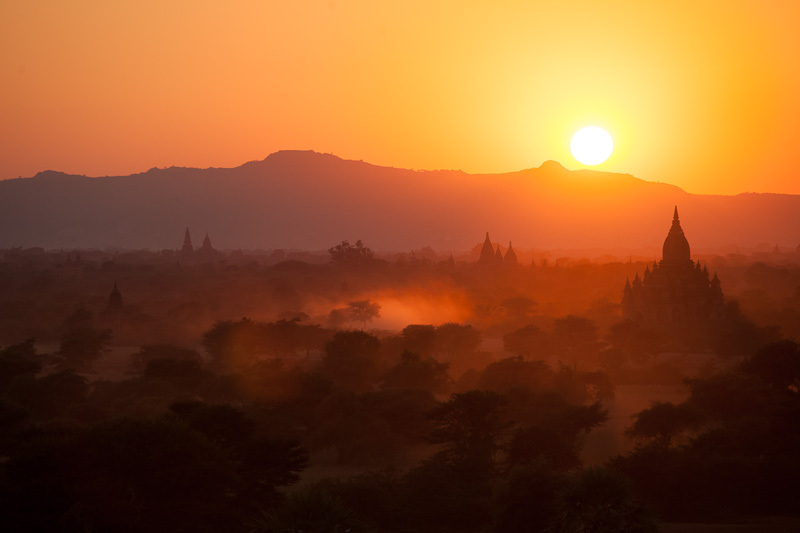 For visitors who are avid photographers, Bagan is a dream stop in the itinerary. And for me, the best stop for landscape photography! 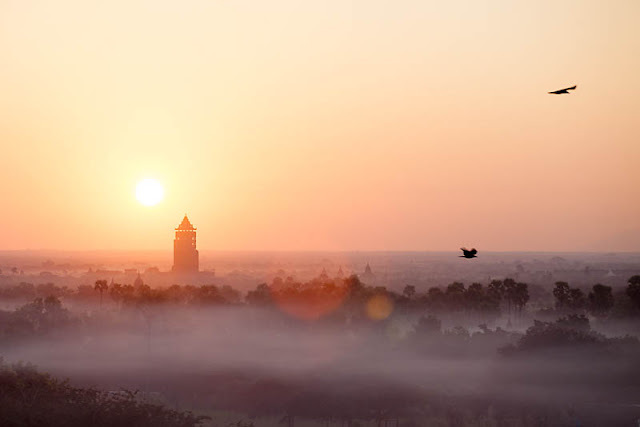 Bagan is an ancient city on a site containing over 2000 temples, pagodas and stupas. During its heyday as the capital of the Kingdom then (11-13th century), there were as many as over 10,000 temples etc. Now, while majority seems to be in a state of ruins, many have been restored and maintained. For those interested in the historic and cultural aspects of Myanmar, the temples provide fascinating glimpses into Buddhism in this part of Asia. What captivated me however, is the golden light during sunrise and sunset. Cast onto the dusty and misty plains, and dotted with the spires of the pagodas and temples, the scene is stupendous. There are a couple of ways to tour the sites. Most backpackers would hire bicycles to visit the attractions. You could also hire a car or a horsecart for the whole day. For photographers who want to catch the sunrises and sunsets (yes you should! ), the latter is recommended. 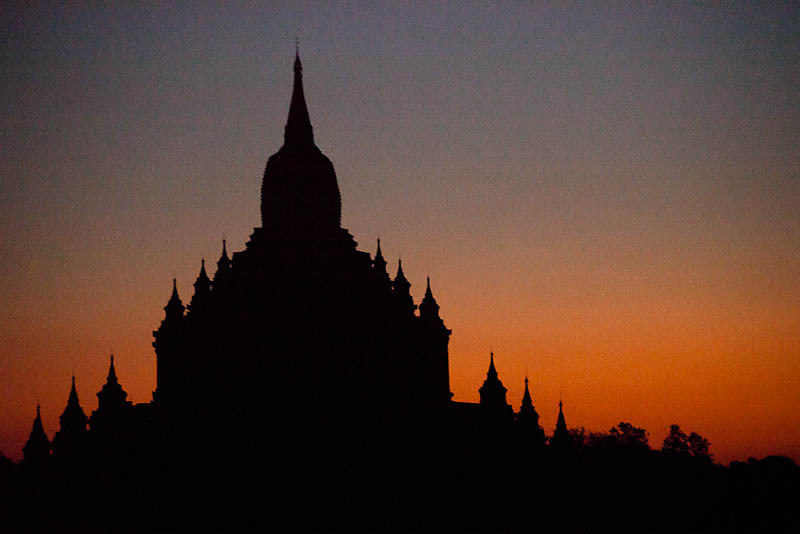 Especially if you want to take the sunsets from some temples that are off-the-beaten-path. The roads there are bad, and after sunset, it would be completely dark and cycling at those conditions are certainly not recommended. In fact, some horsecart drivers were also reluctant to go to some of the further temples for sunsets. Remember to check with your drivers! The most common site for sunset viewing is probably Shwesandaw but I went to Pyathada (which is more remote). For those who have a little more budget, you could also have sunrise viewing and photography atop the hot-air balloons! I would imagine the scene would be absolutely fabulous! 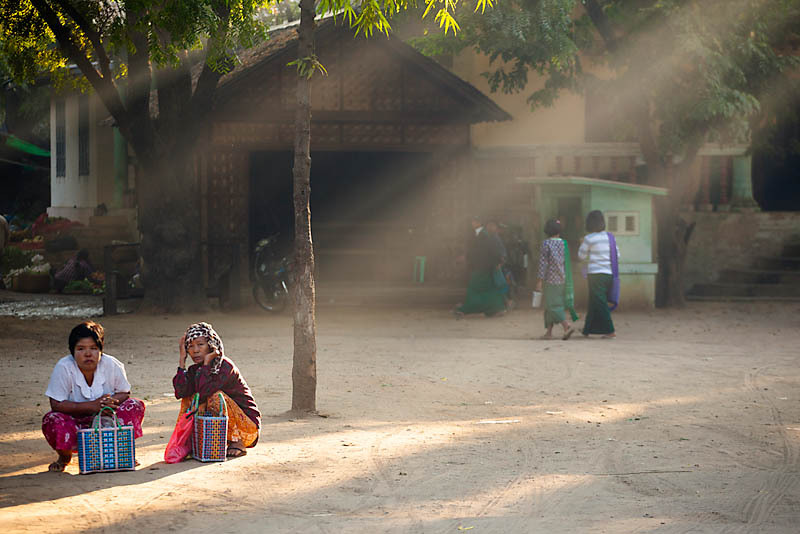 And even back in Nyaung U town, the morning light provided wonderful ambience to the local market. 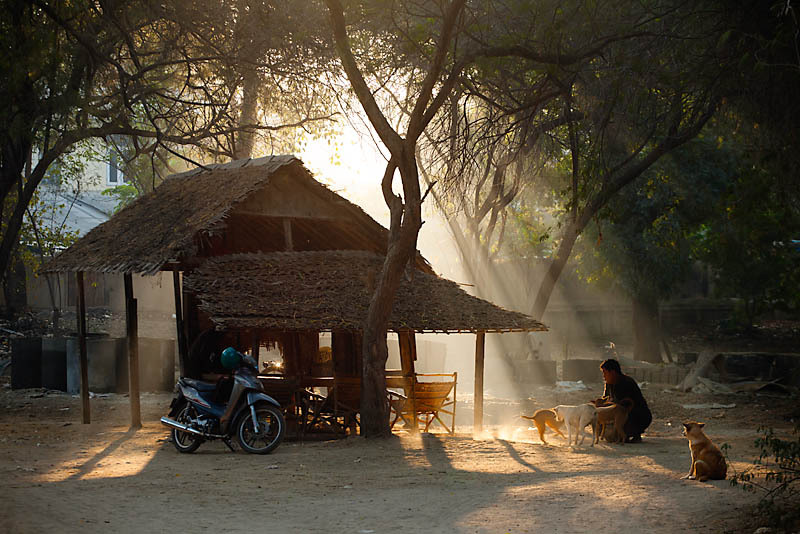 Go between 7.30am - 8.30am, and with the tree foliage around the market area and the dusty air, the resultant light rays add plenty of opportunities for good composition! 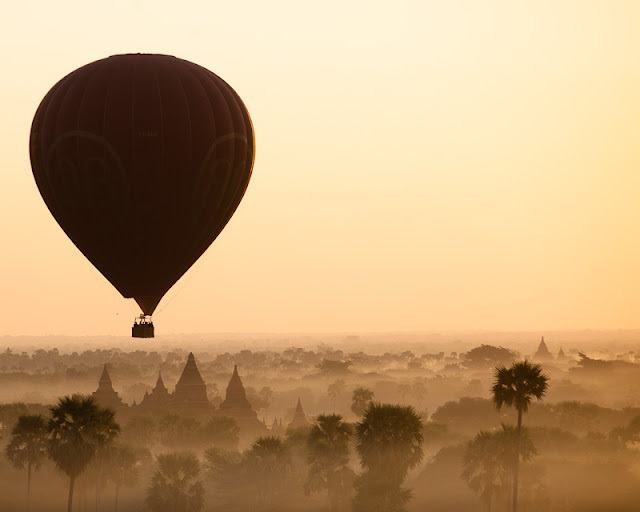 As mentioned earlier, Bagan is one of Myanmar's top attractions. So there are plenty of options to get to Bagan, from buses and rail, to air and boat! And there are 3 areas for acommodation options - Old Bagan, New Bagan, and Nyaung U. The latter is where most of the budget options are. Whichever the options, Bagan is my favourite sunrise/sunset location in Myanmar!